West MauiÃ¢Â€Â™s Oceanfront sanctuary is peaceful and private with a rare exotic Hawaiian ambience. Its resplendent historical location in Olowalu, home to Hawaiian royalty, is ideally located only five minutes from Lahaina Towne, but feels worlds away. Remote seclusion surrounds you. Tremendous shoreline views include the islands of Kahoolawe and Molokini as well as Lanai and Molokai. Whales can be seen and heard. Ocean access for water sports is just steps away. OlowaluÃ¢Â€Â™s reef system is truly magnificentÃ¢Â€Â”the double reef creates a really unique calm lagoon with coral heads visible during low tide. This grand estate is comprised of three plantation structures set on 1.34 acres of land with a sprawling ocean lawn, 75-foot pool and spa, tropical gardens and walkways. Designed by Glen Mason, an award-winning architect renowned for cultural heritage preservation incorporated into new construction, includes authentic design features of 1930Ã¢Â€Â™s KamaÃ¢Â€Â™aina architectureÃ¢Â€Â”wide verandas, wood floors, spacious rooms with high ceilings, and double-pitched roofs. The main home contains three master suites, each with its own sitting room, bedroom, bath with shower and tub, private Lanai, Walk-in-closet, laundry and magnificent ocean views. The ocean view Ohana has its own gate-entrance from the driveway, an exceptional kitchen, master suite, bath and outdoor shower beautifully linked to the main home by a trellised walkway. The third building houses a gym, steam room and an additional suite above. Other phenomenal features include a Ã¢Â€ÂœrealÃ¢Â€Â chefÃ¢Â€Â™s kitchen, intimate library and media room, a fireplace in the great room and aquatic pond. Fantastic gathering areas abound both inside and out. Perfect for entertaining and enjoying croquet, bocce, kayaking, whale watching, dolphins, turtles, monk seals and more. Offered turnkey. 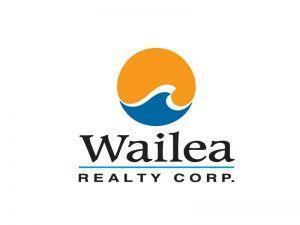 I am interested in 11485 Honoapiilani Hwy, Lahaina, HI 96761 (Listing ID # 380886).